In Time of Civil War – the Conflict on the Irish Railways 1922-1923, Bernard Share. 2006, pp 152. This book attracted my attention in the RDS Library because of the numerous photographs of the destruction of the trains and railways by the anti-Treaty irregulars during the Civil War. The photos illustrate the widespread destruction of the engines, stations, signal boxes, bridges and permanent way. 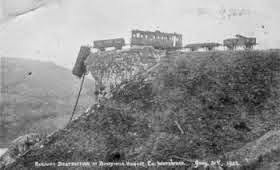 Apart from a few incidents before the start of the Civil War in late June 1922 and after the ceasefire in May 1923, the major damage to the railways was caused during the eleven months of the War itself. The introduction provides a detailed account of the Irish railways from their foundation in the first half of the 19th century (the first was the Dublin-Kingstown railway in 1831). By the start of the Great War in 1914 the country had developed a huge network of railways eventually extending to more than 3,000 miles of track. There were many branch lines, some to relatively remote parts of the country, and some of these were carried on narrow gauge tracks. They extended to such isolated places as Schull, Dingle, Ballybunion, Achill and Killala. There were 46 railway companies for 32,000 square miles and 4.5 million people. Some of these companies existed without ever laying a mile of track. They must have been aided and abetted by the influence of William Martin Murphy who built the first tramway system in Dublin and led the spread of electric tramways and railways locally, in Britain and internationally. Before the Civil War the railway companies faced many problems including staff, coal, shipping and transport strikes, government intervention during the Great War and the local upheaval of the War of Independence where railway workers occasionally refused to carry British soldiers and military equipment on the trains. Chronic financial problems were the rule rather than the exception. How they then survived the widespread destruction which was endemic during the year of civil strife is entirely due to the Trojan work of the railway workers and the Free State’s national army’s Railway Protection, Repair and Maintenance Corps. 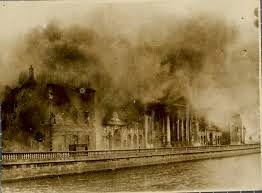 The Civil War started in June 1922 with the attack by the Free State army on the Four Courts which were occupied since April by the irregulars led by implacable Republicans Rory O’Connor and Liam Mellows. It ended with the dumping of arms by Frank Aiken who had replaced Liam Lynch who led the irregulars during the War. Lynch was at the time of his death in action in April 1923 a lonely figure, a fugitive in the Knockmealdowns with only a few loyal comrades. He was convinced to the very end that he would win the war for the republic. Lynch, whom my father as chief of staff during the War of Independence thought was the outstanding guerrilla leader of the South, was a devoted and loyal patriot who threw his life away in seeking the impossible, the chimera of a republic without the symbolism of the Crown. 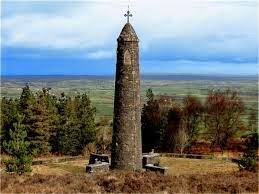 Liam Lynch memorial round tower. In fact, the War in its literal sense had ended by September 1922 after all the major cities and towns, and most of the countryside was taken over by Free State troops. From September the country was fully in the hands of the government and the irregulars, as the anti-Treaty IRA were called, were reduced to isolated groups with little population’s support, so important for the National Army during the War of Independence. The Civil War had by the end of September degenerated into a poorly organised and inchoate group of stragglers whose main activity was to indulge in vandalism, arson and not a little criminality. And despite the loss of the more formal and military structure of the early irregulars, the conflict was to continue for many more months because of the refusal of its leader, Liam Lynch, to recognise that the Treaty had been accepted by the great majority of Irish people and despite the failure of the politidal leaders who supported the irregualars to intervene to stop the War when it was obviously lost. This book and its extraordinary collection of photos of the destruction done to the railways says it all about the futility of violence against majority rule and the baleful effect that even the most patriotic and inspiring of men can have when passion can distort a sense of realism. The great bulk of the book, pages 17 to 141, covers the diary of events from April 1 1922 to May 31 1923. 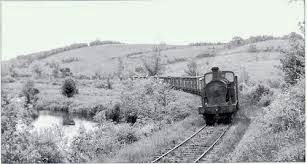 The Trojan work of the railway workers and the Railway Protection, Repair and Maintenance Corps ensured that the rail system did work despite numerous difficulties, delays and serious damage to equipment and track. 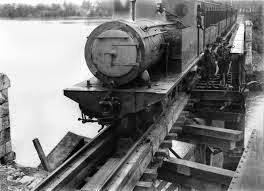 Bridge destruction was a favoured activity of the irregulars but their repair, often of a temporary nature, was generally dealt with quickly and armoured trains were soon in action during such repair work. Much of the national army’s work must have been devoted in the later months of the War to protecting the railways and dealing quickly with damage to trains, permanent way, bridges, stations, signals and signal boxes. The most notorious outrage was the destruction of the Mallow viaduct over the Blackwater River on the 9th of August 1922 which was part of the republican intention to isolate Cork from Dublin but the arrival of troops by two ships from Dublin captured Cork and surroundings towns and put paid to these plans. 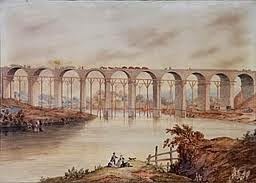 The Mallow viaduct was to remain out of action until October 1923, five months after the end of the Civil War. When restored, the first train drawn by 4-6-0 Loco no 405 carried the President of the Executive Council, William T. Cosgrave, across the newly restored viaduct. -----while a party of national soldiers drawn up on the railway track came to the salute ---- the train passed over the new bridge, severing the tricolour ribbons which had been stretched across the track. The symbolism was apparent for the railways. The closing of the rift between Mallow North and Mallow South signalling that for them the war was well and truly over. The more debilitating rift in the national psyche would be a matter for another day. The Railways Act was passed by the Dáil in 1924. It brought together all the railways in the 26 Counties, probably under government control although this is not clear in the text. (except the Listowel and Ballybunion Railway which was deemed to be so damaged during the Civil War that it was beyond repair), This government decision was to lead in the next forty years to a gradual reduction in the extent of the railway system, including the eventual closure of all the branch and narrow gauge lines. My enduring reaction to this book was a sense of shame and of sadness that Irish patriots, some of whom had played a noble part in the War of Independence, took part in or at least tolerated such wanton destruction to the fabric of our country, who harmed the lives and property of its many citizens and who caused such damage to our reputation abroad. To the Land of Saints and Scholars, to the recent march and wonders of the Celtic Revival, it was a bitter blow.